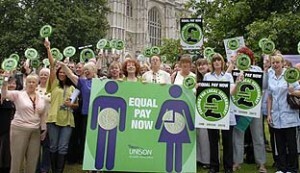 UNISON is working hard to ensure all our members get fair treatment and equal pay at work. Major overhauls of pay and conditions packages across our public services have brought the issues of pay inequality to the fore. UNISON has developed an equal pay strategy to challenge pay discrimination through a combination of negotiation and legal challenge where necessary. New arrangements should ensure equal treatment in future but many members could be entitled to back pay for past loss of earnings.